To the sorrow of his many friends, colleagues, students, and family, Dr. Robert Pace passed away in September 2010. 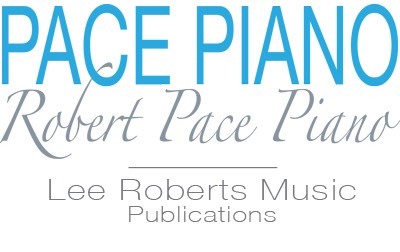 Dr. Robert Pace is credited with having revolutionized the art of piano teaching in the twentieth and twenty-first centuries, with his landmark ideas on both content and presentation. As an educator, he passionately committed himself to helping students become independent learners and lifelong musicians. His extraordinary vision of teaching music through simple ideas that could be infinitely interrelated, reshaped, and revisited, left an enduring legacy — that of a continually self-renewing approach, as dynamic today, as when it first came on the scene. 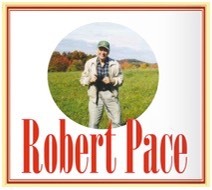 Robert Pace was born on June 22, 1924, in Newton, Kansas. During his childhood, he lived with his family on a farm, and later, in town. His mother was a former schoolteacher. His father owned a hardware store, and, subsequently, a meat processing plant, and then a gift shop which both of his parents operated. Robert began piano lessons at the age of five, and by the time he was nine, was performing radio concerts three times a week, along with his violinist sister, Mary. In addition to playing the piano, he also played trombone in his Junior High and High School Bands. He was a great fan of Glenn Miller, and sought to emulate the master’s sound in his trombone playing. During these years, Robert also played baseball, breaking a finger as a result, and worked at several jobs, including delivering newspapers and selling poultry and eggs. During his high school years, Robert became serious about his piano studies, and competed in and won many competitions. In 1942, he graduated from Hutchinson High School and was accepted as a scholarship student by the famous Joseph and Rosina Lhevinne, for study with them at Juilliard School of Music. Robert's Juilliard studies were almost immediately interrupted for three years, when he was drafted into the army in 1943. Corporal Pace served in the infantry in Germany, France and Austria until 1945. After that, he became a lifelong pacifist. Upon resuming his Juilliard studies with Rosina Lhevinne in early 1946 (Joseph died in Dec. 1945), Robert met and soon after married Helen Crabtree. Robert and Helen are thought to be the first couple of married Juilliard students to have graduated from that institution. Helen, a native of Oklahoma, was a coloratura soprano, and studied on scholarship with acclaimed tenor Hardesty Johnson, at Juilliard. Around this time, she sang in NBC opera broadcasts under the direction of Arturo Toscanini. The marriage between Robert and Helen lasted 62 years, up to her death in 2009. In addition to being a professional vocalist, Helen was also an accomplished pianist and, after she married Robert, she collaborated with him on books, recordings and other publications throughout their life together, until she became disabled by illness in 1998. They had four children, six grandchildren, and three great grandchildren. After Robert earned a Bachelor of Science degree at Juilliard, he received a Master's and Doctoral degree from Teachers College, Columbia University. He taught at Juilliard and subsequently at Teachers College where he became head of piano instruction in 1952, and Chairman of the Music Department in 1969. Along with teaching at Teachers College, and developing new materials for piano teaching, Dr. Pace was national piano chair of the Music Educators National Conference from 1953 to 1956. During this time he also concertised, appearing at the Isabella Stewart Gardner Museum in Boston, with the Dow Symphony Orchestra in Midland Michigan and in other performances throughout the country. From 1959 to 1962, he was piano editor for the Music Journal. In 1962, he was appointed by John F. Kennedy to the original four-member panel charged with studying the state of music and music education in the United States. He served in this capacity until 1963, when the committee was discontinued after the assassination of President Kennedy. In 1963, Dr. Pace became director of the National Piano Foundation upon its inception. 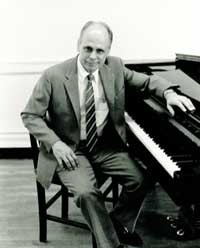 He served thus for fifteen years, until 1977, when he became executive director of the International Piano Teaching Foundation. Dr. Pace is renowned for developing “peer-teaching" piano lessons; for his curriculum of "Comprehensive Musicianship” in which he organically integrated repertoire, technique, reading and transposing, composing and improvising, analysis, theory, and musicality; for his development of his Multi-Key approach; for his philosophy of life-long independent musical learning; and for his abiding concern with the relationship between musical experience and its contribution to the quality of life of the individual, and, in turn, society as a whole. Dr. Pace received the 2003 Music Teachers National Association Achievement Award; an honorary Doctor of Music degree from Westminster Choir College, Princeton, New Jersey; and in 2008, the Lifetime Achievement Award from the Music Educators National Conference. His books and articles have been translated into many languages and are distributed throughout the world.